It's been a few weeks since my last book review, of The Princess and the Bear by Mette Ivie Harrison. Since then, I've read both the third and the fourth books in the series. Since I love these books so much, I'm dedicating today's post to The Princess and the Snowbird. The Princess and the Snowbird introduces two new characters to the magical universe. The daughter of King Richon and Chala, who inherited all of her parents' magic, befriends a boy with no magic. From her website: Her parents were legends. When she was born, they gave their magic to her. And they will not take it back. Now, it is up to her if magic lives or dies. But she has lived all her life with animals. Why should it matter to her what humans do to their own magic? While I loved this book as well, reading it felt a little bittersweet. I get really attached to book characters, and this book takes place in a later time period than George and Marit. Magic has once again transformed. The animal magic introduced in the first book is now known as the aur-magic, and a human corruption of it is the tehr-magic. Most humans fear the aur-magic, and there's an evil magic-less man called the Hunter who is trying to eradicate all magic. I don't think it's too much of a spoiler to mention that I loved the romance and adventure in this novel. Although I recommend reading the first two novels before trying The Princess and the Snowbird, this book can stand alone. 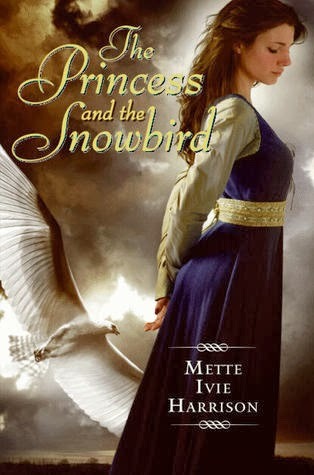 Anyone with a love for fantasy and adventure should definitely check out The Princess and the Snowbird. *Post contains two Amazon Affiliate links.